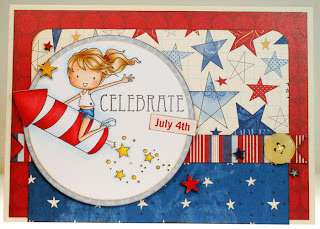 It's the third and final blog hop day for the Sister Stamps 1 year birthday celebration release. 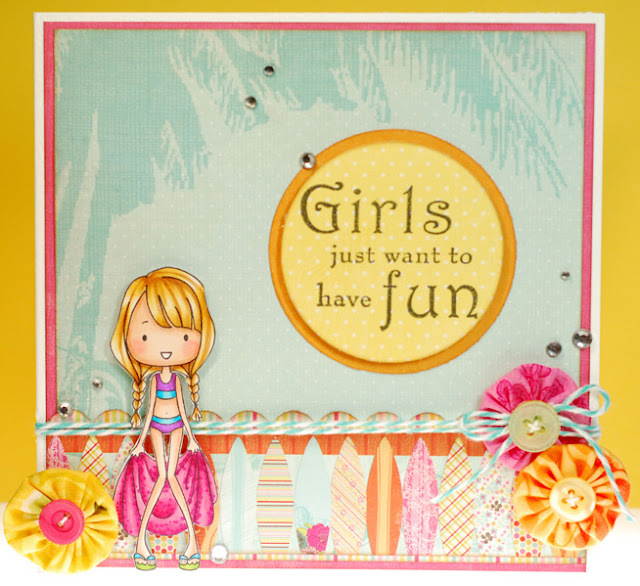 We've been partying it up with three super cute new additions to the Sister Stamps family with plenty of chances to win along the way. 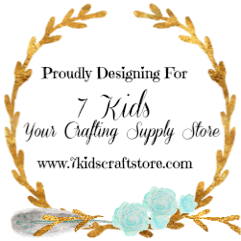 To make sure you haven't missed a stop in the hop be sure that you have come here from the fabulously talented Mama's blog. 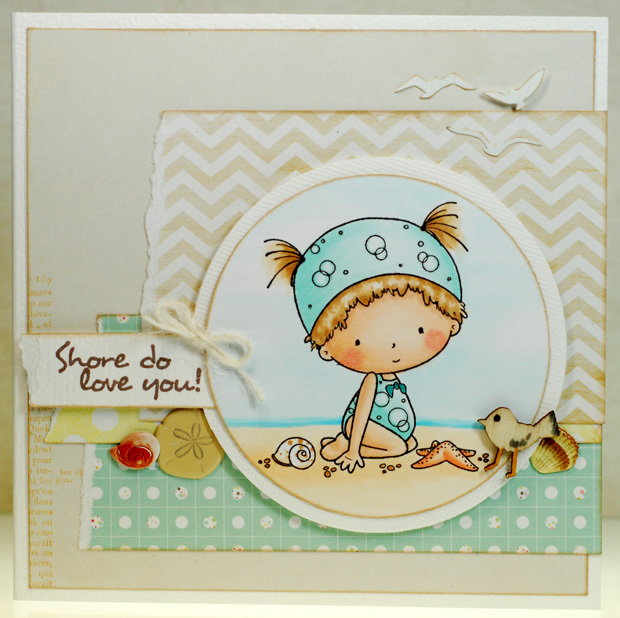 If not, no worries, just head over to the Sister Stamps blog for a complete list of hoppers. Today I have little Mariko with her fancy present to share with you. This adorable little gal takes great pride in making sure that the presentation of her gift is just as special as the gift itself. As a fellow crafter I'm sure she even made that fancy wrapping paper all by herself. 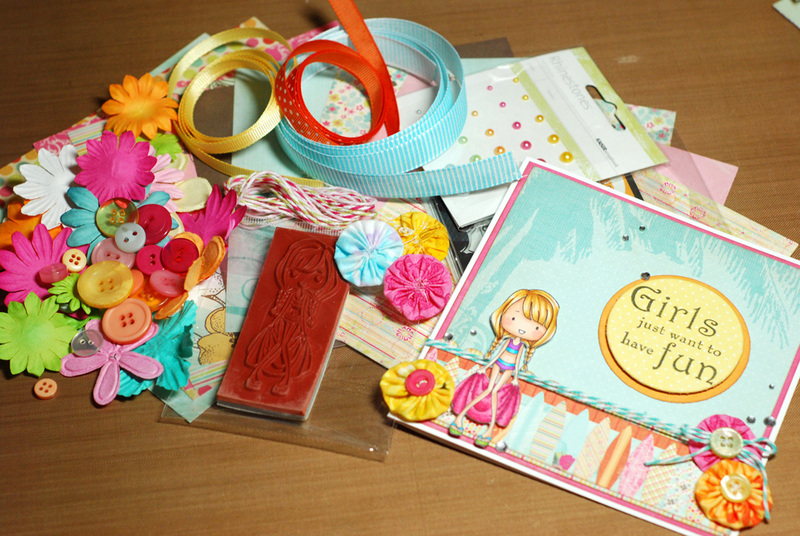 Mariko looks so sweet and generous and can work on more than just birthday cards. Because there are plenty of occasions when we want to share something special with those we love, right? 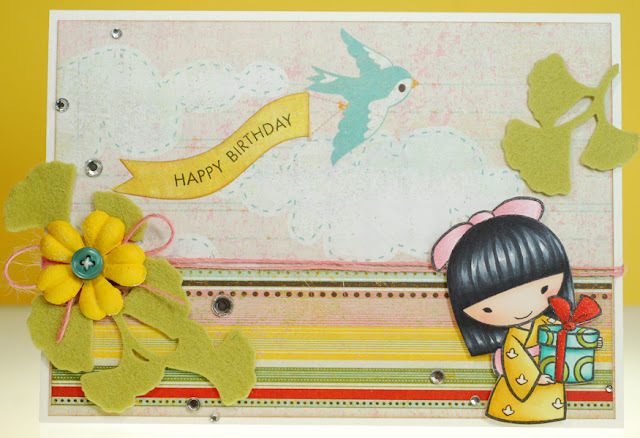 Welcome back to day two of the Sister Stamps 1 year birthday celebration and blog hop. I'm sure that you had a great time yesterday and today is going to be even more fun! So once again, if you've made it here from Mama's blog then you are right where you need to be. If not, check out the Sister Stamps blog for a complete list of stops in the hop. Today little Takeo is dashing onto the scene and he has brought some party balloons to liven up the place. You see, it's his big day and he has anxiously been awaiting this celebration for weeks and weeks! He can barely contain his excitement any longer... it's time to party! Takeo really is perfect for making that perfect "all boy" birthday card, don't ya think? Ok now, there is plenty more birthday cuteness to be seen so it is time for me to send you over to Leanne's blog once again. 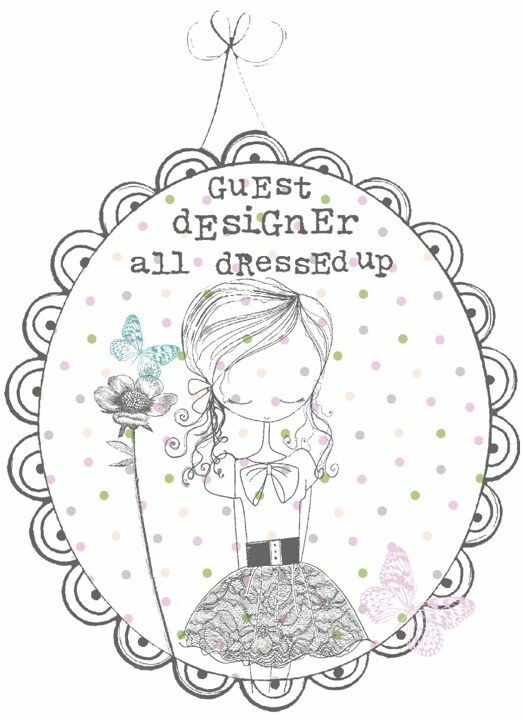 And be sure to leave comments over on the Sister Stamps blog and become a follower there if you haven't already for even more chances to win! 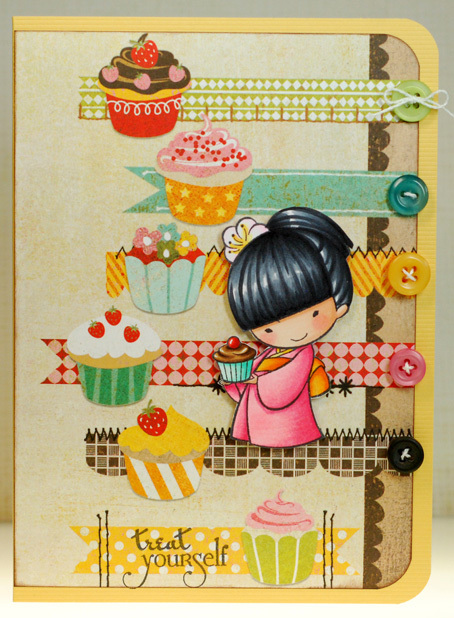 I'm so excited to be joining Sister Stamps in their 1 year birthday celebration this week! We are celebrating the 8th release with some fun blog hops over the next three days. 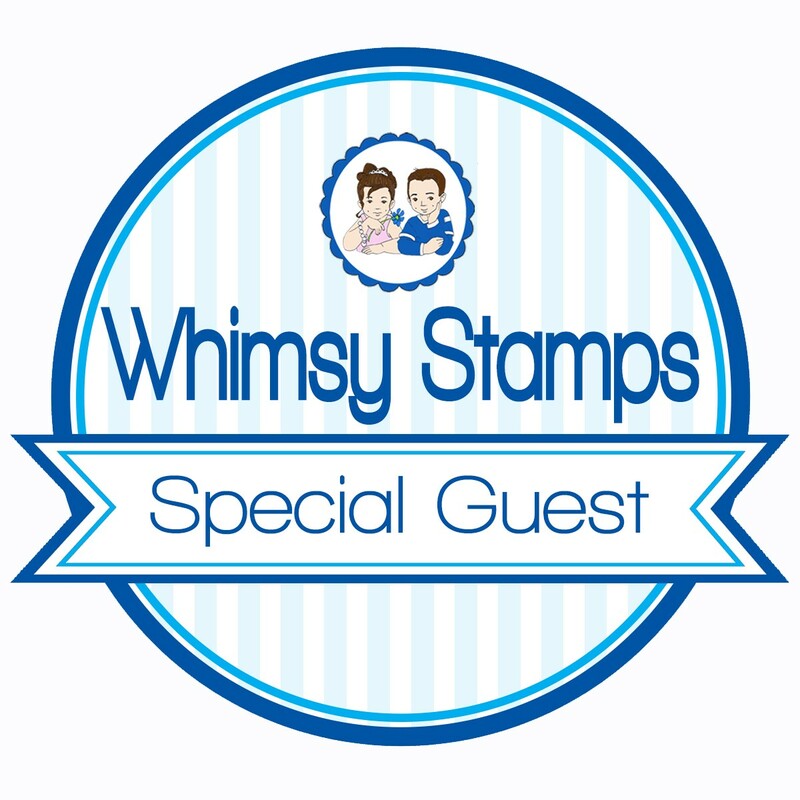 So if you have come here from the fabulous Mama's blog then you are on the right track... if not then head on over to the Sister Stamps blog for the complete list of hoppers that will get you on your way. 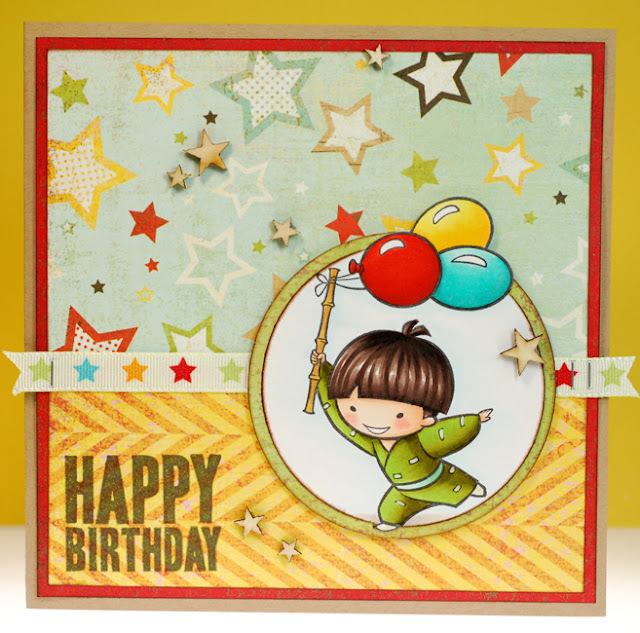 Now to continue on for a chance to win your very own Miyoko be sure to hop, hop, hop on over to the oh-so creative Leanne's blog. And have fun celebrating Sister Stamp's first birthday this week! It's review preview day over on the ATS blog and today we are featuring the new Mashi's Muffins that were released this month. 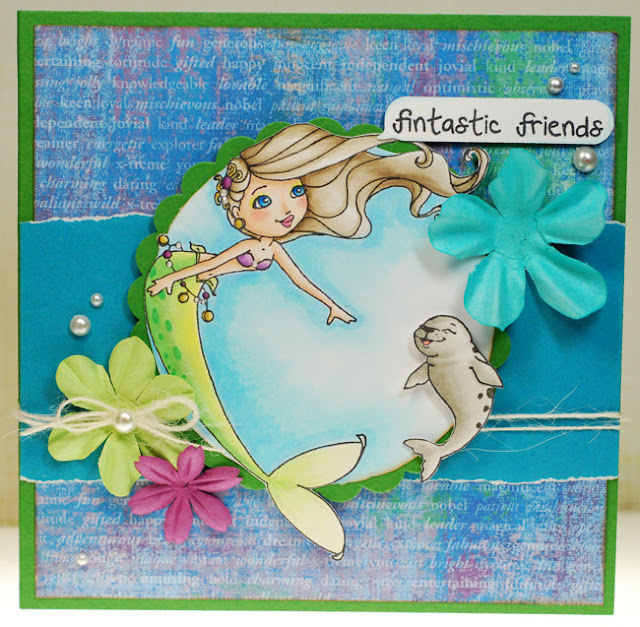 My card features Seashell Sarah and she is a bikini clad beauty enjoying a day at the beach. 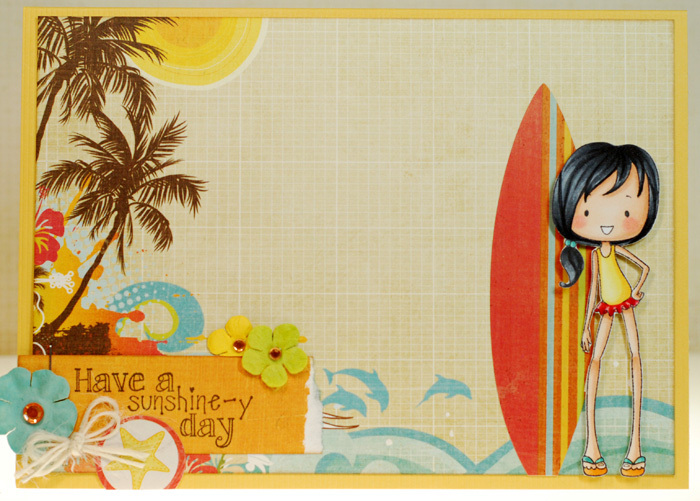 All the papers on this one were bits and pieces left over from the cards I made for the previews... even the palm tree that I fussy cut and added to the scene. So it's quite a mix going on here. 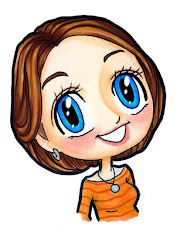 Sarah is such a fun image to play with, something about her kinda reminds me of a Saturday morning cartoon. To see even more summer lovin' cards from the rest of the ATS team just hop on over to the ATS blog. So this card is very clean and simple in its design and it's the first in what I suspect will be a long list of "thank you" cards that I make in the near future. There have been many wonderful people who have been completely amazing to me and my family during Mom's illness so I have a lot to be grateful and thankful for and I need to tell them that. On the mom front, she continues to do well. They had to go back in and replace one of the drains in her on Friday and they removed the breathing tubes yesterday so that is great. She's currently still in CCU but hopefully she will be transferred out of there soon. Alrighty, I'm off to work today. have a good one my friends! So when I finally sat down to play I didn't actually choose summer themed papers to go with her. Instead I pulled from the Neapolitan pad and I think that the cool neutrals create a beachy look quite nicely. Then I embellished the card with a few shell shaped brads and decided that Beatrice needed a little sandpiper friend to keep her company and that wood veneer birdie was perfect after I added a bit of color with my Copics. On a more personal note... Mom had surgery on Tuesday and had to be intubated again. Hopefully the doctors will be taking the tubes out today though. In the meantime she remains communicative and in relatively good spirits. It's going to be a long road to recovery but hopefully now we are finally and truly on our way to recovery. You do not even know how much I have missed chatting with you all. 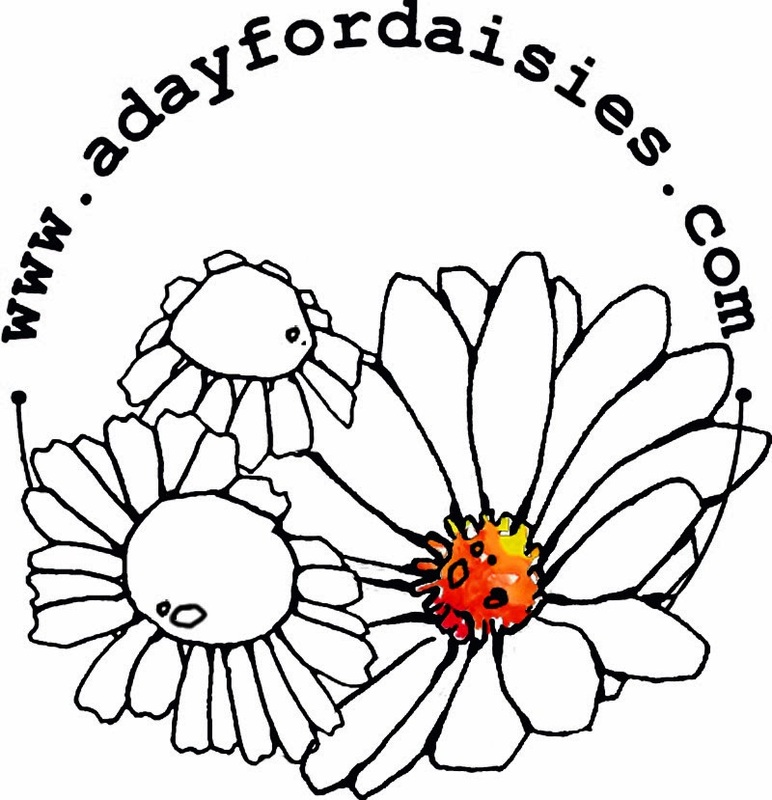 My poor, neglected blog... tsk, tsk, tsk. But I'm here now to say hello and catch up a bit. So, how have you been? Kicking off summer in grand style I hope. I've actually been splitting my time between home and Seattle lately. Mom got moved to a hospital over there which makes for a 3 1/2 hour commute. No complaints from me though because I want to be there for her as much as I can. There is still no word on when she will get to come home as she is very sick but progress is being made. I'm hoping though that I will finally feel a bit more motivated to get into the crafty room during the times that I am home because the itch to create is coming back slowly but surely. I still can't promise something every day but hopefully there won't be anymore week long gaps around here. Anywho, there are more Sweet November review preview cards to check out today from my fellow teamies so don't miss out on all of that fun! Hey guys. I had every intention of posting a complete update today but there were some phone calls to deal with and what not so now my time for posting has slipped away. But I still wanted to get this card up here on the ol' blog before too much longer. So some things with mom are good, some not so much. There is a possibility that she may be moved to a hospital in Seattle later this week. Her pancreas isn't looking great and they want to stay on top of that. Which, on my most selfish level, will mean even less time for me here at home. But I need to be with my mom. So my best laid plans of hopefully going to every-other-day posts might be shot for just a little bit longer. 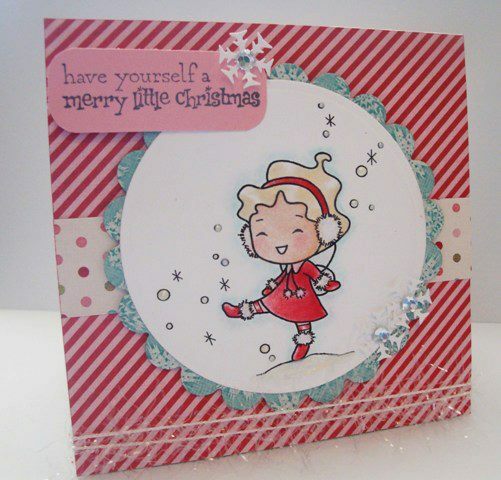 I did manage to get this card done for the previews last week using the new Reading Rebecca stamp at ATS. 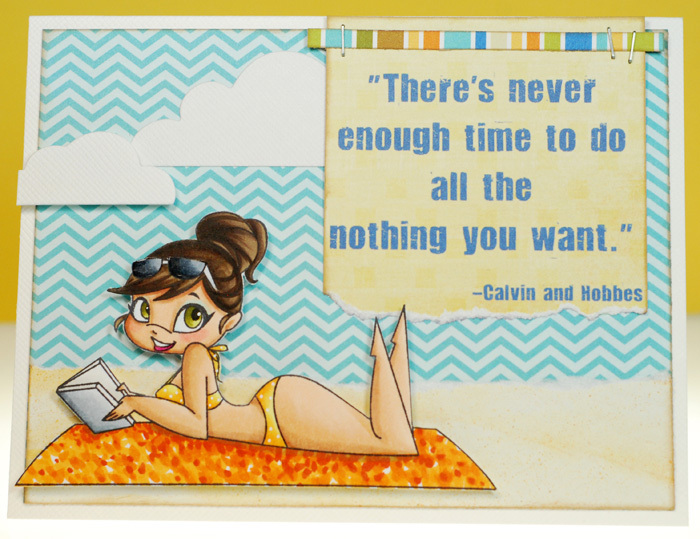 I love, love, love this sassy little beach beauty... isn't she fab? Part of me wishes I could be her for just a minute or two, LOL. 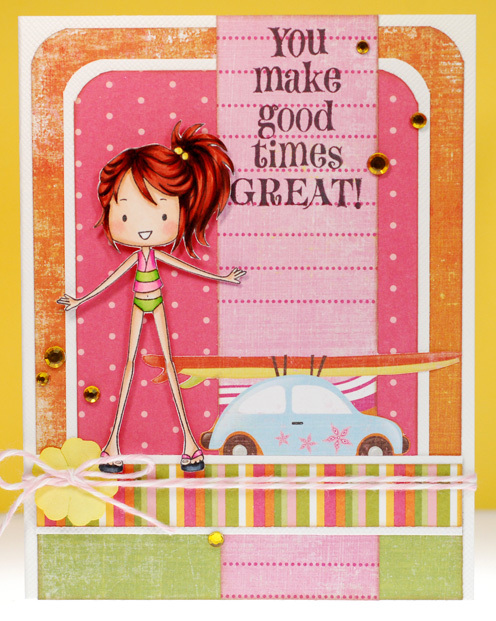 Don't forget that all of the new June ATS stamps are now available at the All That Scraps store... including sweet little Summer Emma here. Alrighty, I'm off to spend the day with my mom at the hospital. Promise to talk to y'all again soon. Have a great weekend! 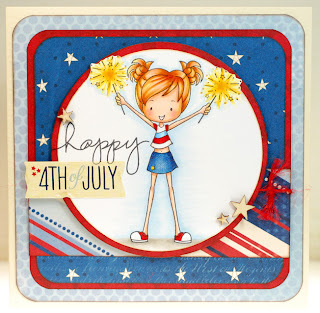 Patriotic Pixie Betsy shines as brightly as the sparklers that she loves to twirl and spin. It's easy to mistake her for a firefly at times but she takes that as a compliment. The way that Betsy dances across the meadow all nimble and quick turns each of her movements into a mini light show that is a joy to behold. 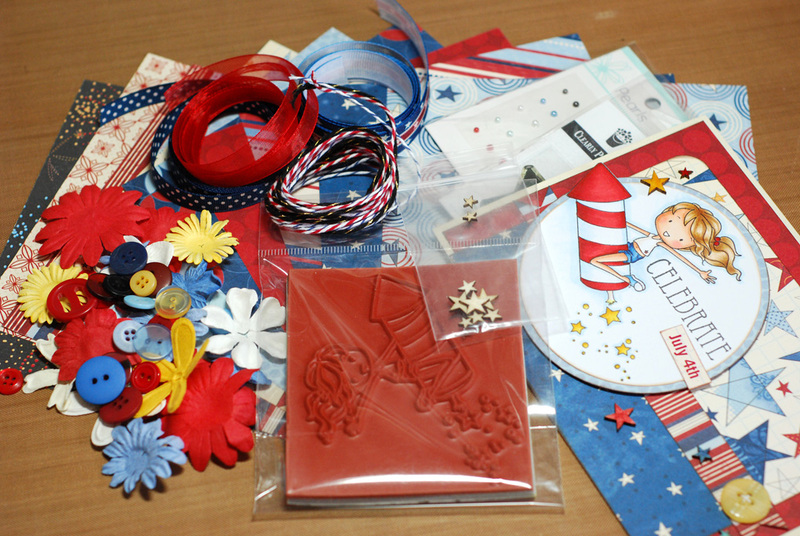 The Betsy candy kit includes; one Sweet November Patriotic Pixie Betsy rubber stamp, ten 6x6 sheets of Scenic Route paper, small Basic Grey acrylic stamp, Prima flowers, Kaiser Craft pearls, ribbon, twine, buttons, wood veneer stars, four envelopes, four card blanks and my card. Betsy has help when it comes to aerial displays in Sweet November Land and that is where her BFF Patti soars onto the scene. Pixie Patti's fireworks fly higher and sparkle and shine longer than anyone else's. Her magic touch creates colors and images in each burst of light that will leave you oohing and ahhing, never wanting the show to end. As entertaining as her shows are, Patti is always coming up with new ideas and trying to outdo herself with each burst of light. 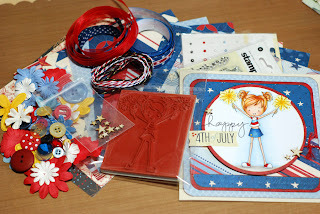 The Patti candy kit includes; one Sweet November Patriotic Pixie Patti rubber stamp, ten 6x6 sheets of Scenic Route paper, small Daisy Bucket acrylic stamp, Prima flowers, Kaiser Craft pearls, ribbon, twine, buttons, wood veneer stars, four envelopes, four card blanks and my card. The candies will stay open through tomorrow, Friday, June 8th and I will announce the winners on Saturday, June 9th. And just so you know... all of the new June stamps will be available for purchase tonight at the ATS store. And that, my friends, is a wrap on the June Sweet November previews... but there is still one more chance to win these new cuties just by heading over to the SN previews on the ATS blog today! 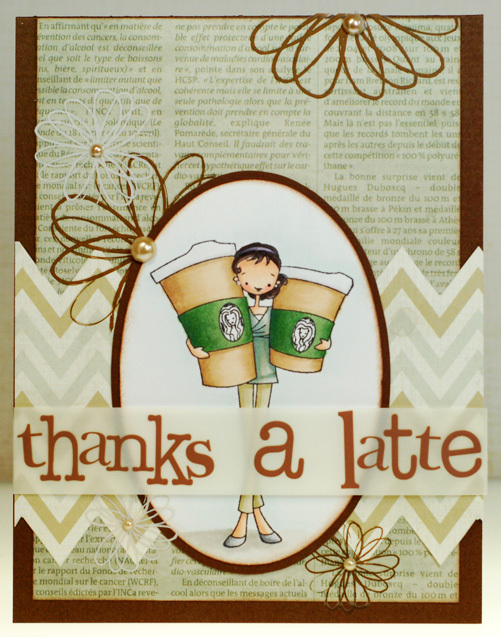 Thanks so much for joining us this past week for all of the new release excitement! It's summer in Sweet November Land and while the mermaids are migrating off the coast we are going to hit the beach and meet some very special pixies who are always up for fun and exciting times when the weather starts to warm up. So grab a towel and slip on your flip flops 'cause we're heading down to the sandy shore where the Tadpole swim team are chillin'. Rounding out the team is Sunny. Sunny is a natural leader and anchors their little group in so many different ways. Need stats on the last race? Ask Sunny. Want to practice your butterfly stroke? Sunny can help. Can't find the wax for the surfboards? Sunny knows where it is. Best of all... if you just need a friend to hang out with, Sunny is there in a heartbeat. Just like her name she is warm and full of positive energy, the very epitome of the summertime that she loves so much. 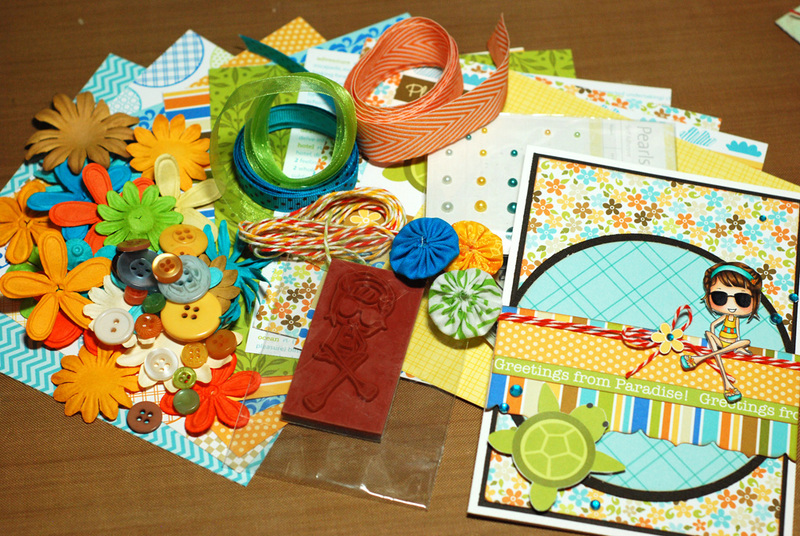 The Sunny candy kit includes; one Sweet November Tadpole Sunny rubber stamp, ten 6x6 sheets of Bella Blvd paper, small We R acrylic stamp, Prima flowers, Kaiser Craft pearls, ribbon, twine, buttons, fabric yo-yos, four envelopes, four card blanks and my card. The candies will stay open through Friday, June 8th and I will announce the winners on Saturday, June 9th. 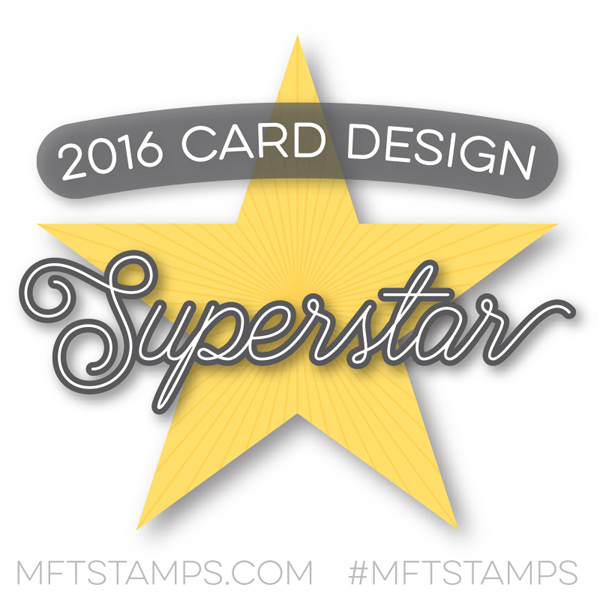 And just so you know... all of the new June stamps will be available for purchase Thursday night at the ATS store. That's the end of our introductions to the Tadpole swim team BUT there is still one more day of June SN previews... and you won't want to miss the Patriotic Pixies. See you then! The Lily candy kit includes; one Sweet November Tadpole Lily rubber stamp, ten 6x6 sheets of Fancy Pants paper, small We R acrylic stamp, Prima flowers, Kaiser Craft pearls, ribbon, twine, buttons, fabric yo-yos, four envelopes, four card blanks and my card. That's day three of our June SN previews... I hope you had fun with Lily and tomorrow we've got one last Tadpole Pixie to meet. See you then! Pixie Polly is the fastest swimmer on the team and wins all the races that she enters... well, unless she challenges a mermaid, but even then it is close. And if she's not splashing in the waves Polly can be found catching a few rays on the beach sipping her favorite strawberry lemonade. She's simply a spunky little gal who is always looking for the next good time. Polly also has quite the sweet tooth and she likes to share her candy... take a look-see! 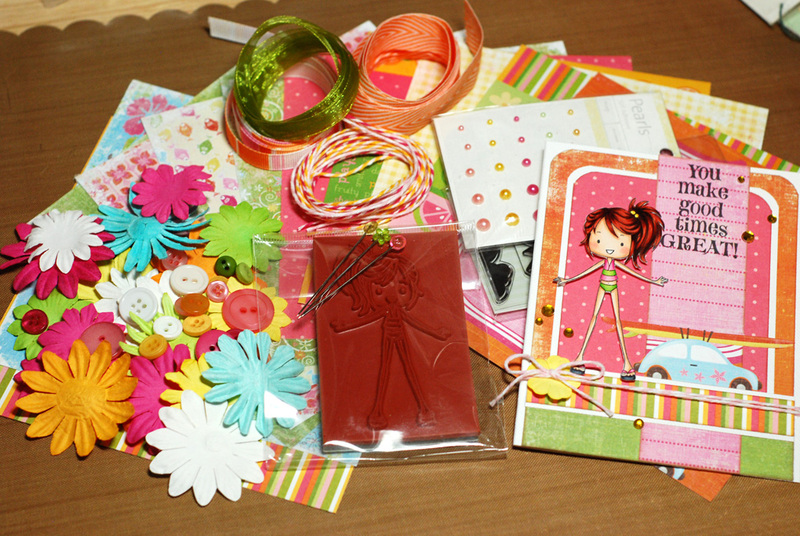 The Polly candy kit includes; one Sweet November Tadpole Polly rubber stamp, ten 6x6 sheets of Fancy Pants and KI Memories paper, small We R acrylic stamp, Prima flowers, Kaiser Craft pearls, ribbon, twine, buttons, stick pins, four envelopes, four card blanks and my card. Thanks for stopping by to check out day two of our June SN previews... I hope you have enjoyed meeting this new Sweet November sweetie. Come back tomorrow to meet the next little Tadpole Pixie! 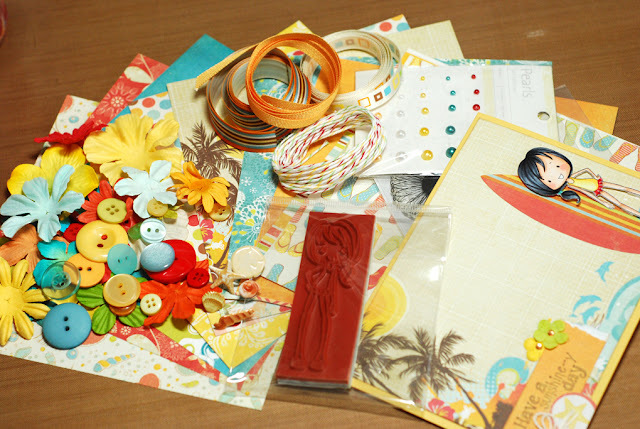 The Phoebe candy kit includes; one Sweet November Tadpole Phoebe rubber stamp, ten 6x6 sheets of Echo Park Paradise Beach paper, small Daisy Bucket acrylic stamp, Prima flowers, Kaiser Craft pearls, ribbon, twine, buttons, shell brads, four envelopes, four card blanks and my card. That's a wrap on day one of our June SN previews... I hope you have had fun meeting this new Sweet November cutie and come back tomorrow to see who else will be swimming onto the scene! Sweet November Spotlight on Erin! 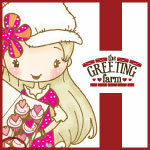 It's time to start previewing the new Sweet November stamps for June! 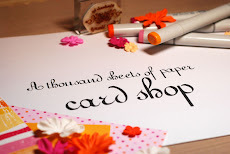 But before we start catching some rays I want to shine the Sweet November Guest Gal spotlight on a fabulously fun paper crafter whom I actually first came across while watching YouTube videos. Please give a warm welcome to Erin New! Now it's time for Erin to answer the Sweet November questionnaire... which I always look forward to reading! BLUE. First of all blue is my favorite color, but I feel it represents me in that it is calming. I've always been told I have a very calming voice (or maybe that's just my DH's excuse for falling asleep when I talk to him, LOL). And to me it's a very cheerful color, I have always been the type of person to try and lighten the mood and make people laugh. My card making style is actually very different from my clothing and home decor styles. When it comes to cards I like to use LOTS of color..the brighter the better! But for my wardrobe/home decor I go for more neutral colors with a little color here and there. Definitely my hubby. I am a SAHM and sometimes when my kids have brought me to my wits end... the hubbs comes home and always makes me laugh and keeps a lighter mood about all the chaos. This is a tough one... I'd like to say the Victorian Era simply because they had so many beautiful things LOL, but I think I'd have to pick the 1950s... it just seems like such a fun/innocent time. Fairy for sure. Just the thought of being really tiny and being able to fly around is awesome. 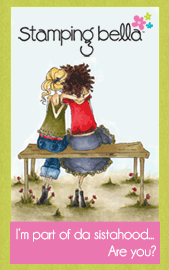 Alrighty, so tomorrow Erin is joining Nancy, Marion,and myself and we will be kicking off the June Sweet November release previews! You won't want to miss sneak peek week both here and over on the ATS blog. As always there are chances to win all of the new goodies so don't miss out on the fun! Hi everybody... yesterday was full of ups and downs. I'm happy to report that Mom was finally taken off of the ventilator, which is a huge milestone. We were all very excited by this progress but she had a setback in the afternoon when she had a bit of a panic attack and her heart began to race and her breathing became very labored. The doctors and nurses are great though and really doing everything they can to make sure she doesn't have to go back on the vent. Mom's kidneys still aren't working though so we are continuing with dialysis treatments until hopefully, hopefully, hopefully hers heal and start doing what they need to do again. That is what I'm praying for. More than anything I want to see her healthy and brought back home. As tired as I am I know that she is a thousand times more tired so I'm trying to stay strong for her. Everyone keeps telling us "baby steps" and "big picture" but boy do I wish there was a magic wand we could wave and make her all better. Anywho, that's where I'm at. Still not crafting much as my mojo is understandably a bit MIA at the moment. Thus I leave you with yet another old class card.